Richard Ayoade, Jessica Hynes and Joanna Lumley are among the supporting cast of Paddington 2, it has been announced today. Also making guest appearances in the sequel are Dame Eileen Atkins, Sanjeev Bhaskar, Tom Conti, Ben Miller and Meera Syal,makers Heday Films have announced. 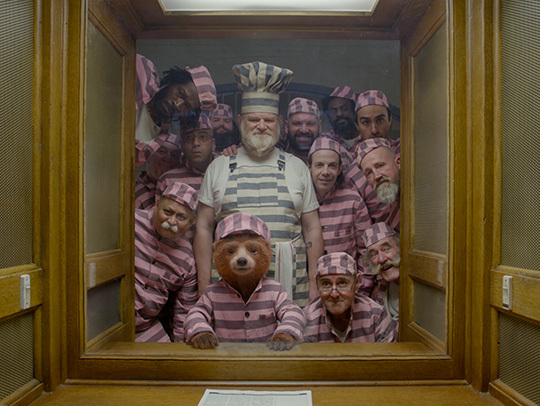 The plot revolves around a stolen antique book, which Paddington is wrongly accused of stealing. Ayoade appears in the dock in a courtroom scene where he is grilled by a barrister played by Syal, who presents him with a jar of marmalade as evidence – the filling for Paddington's favourite sandwich. Returning cats are Hugh Bonneville, Sally Hawkins, Julie Walters, Jim Broadbent, Peter Capaldi, Madeleine Harris & Samuel Joslin, with Ben Whishaw as the voice of Paddington, Imelda Staunton as the voice of Aunt Lucy and Michael Gambon as the voice of Uncle Pastuzo. Hugh Grant plays Phoenix Buchanan, a vain, charming washed-up actor with a dark secret, and Brendan Gleeson appears as 'Knuckles' McGinty, a notorious safecracker. Paddington 2 is, like the first film, helmed by former Boosh director Paul King, who previously made the film Bunny and the Bull with Ayoade.